You are here: Home » Remix Your Leftovers: Make a Pizza! Remix Your Leftovers: Make a Pizza! We’ve all had the experience of cooking way too much food, eating leftovers for 3 subsequent meals, and getting extremely sick of it. My usual solution to that problem is to remix the ingredients into something new! For example, I had previously made black bean & cilantro tacos, gluten-free pasta with vodka tomato sauce, and a cheese dip with green onions. I happened to have some Kinnikinnick gluten-free personal pizza crusts in my freezer (highly recommended, by the way). And who doesn’t have some extra shredded cheese and frozen corn floating around their fridge/freezer? So anyway, here’s how I remixed my leftovers and random kitchen staple ingredients to create a delicious Mexican pizza. Preheat the oven according to instructions on pizza crust package. Place crust on a baking sheet, and spread tomato sauce evenly over surface. 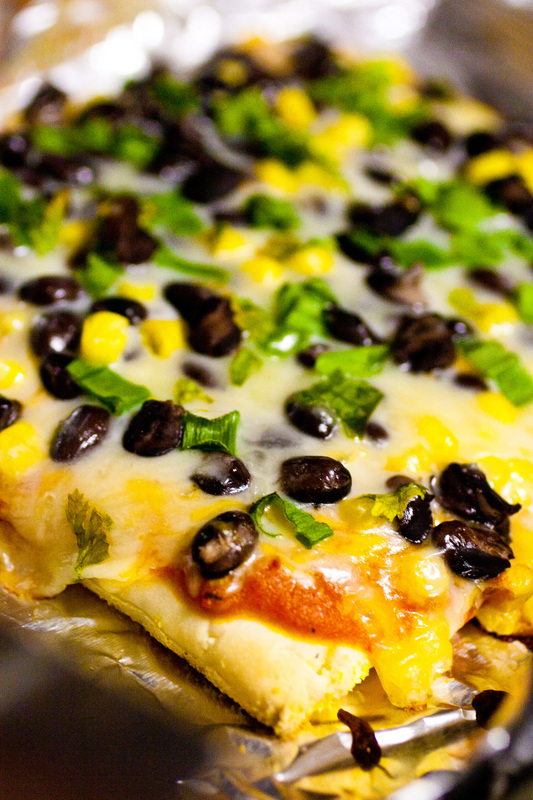 In separate bowl, mix together cheese, black beans, corn, garlic powder, chili powder, and cumin. Spread this mixture evenly over the tomato sauce. Then sprinkle the green onions evenly over the top. Pop in the oven for as long as the pizza crust package says, and enjoy! Boom, just that easy. 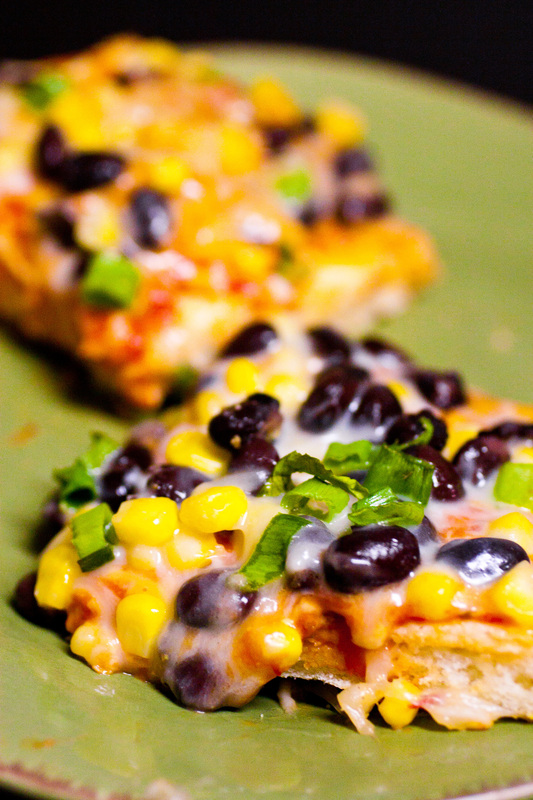 So next time you have a bunch of boring leftovers, mix them all together and throw them on a pizza crust. Trust me.